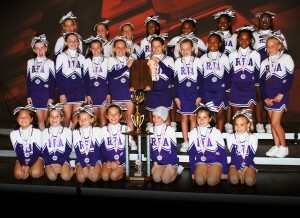 The RBA national championship cheerleading squad is being recognized by the NC General Assembly in Raleigh this Wednesday! Representative Susi Hamilton invited the national championship cheerleading squad and their coaches to be recognized by the NC General Assembly when they reconvene in Raleigh. Thanks to Senator Bill Rabon, we understand that the Senate also wishes to recognize them, possibly by the Lt. Governor! These girls deserve this recognition for their self-discipline and self-reliance and we are proud of them!